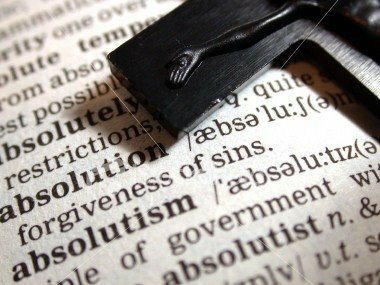 This entry was posted in Divine Service & liturgy, How Lutherans Worship and tagged Absolution, Confession, Liturgy, Worship. Bookmark the permalink. I am just beginning my journey into the Lutheran Faith, and I have never had so much information at my hand from a church. I am very pleased with my new church. I won’t be welcomed in [as a member] till Fall. 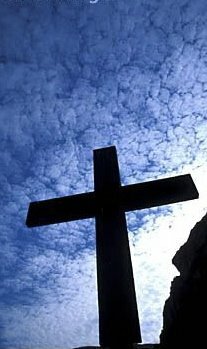 Do I have the right to use the sign of the cross? I am taking communion and was told I could. I am not accustomed to confession with anyone other than confessing my sins to my Lord. I’m not quite sure on a lot of things I have just been reading Luther’s Small Catechism plus other Books. I don’t want to look stupid in front of the congregation and the Pastor didn’t elaborate what I needed to do. The secretary gave me the Small Catechism Book for me to read, but I am finding I need to know much more even though this book is very useful. I will read in again when I finish it. Can I get some insight from who ever is reading this? I am assuming that since you are being welcomed to receive the Lord’s Supper, that you are baptized. Every baptized child of God receives the cross at baptism. 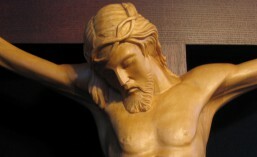 We hear in the Lutheran liturgy for Holy Baptism: “receive the sign of the cross both upon your forehead + and upon your heart + to mark you as one redeemed by Christ the crucified.” You can find out more about this at http://wp.me/p1RZeT-T. While there is no limit as to when you can use the sign of the cross, there are several places indicated in each worship service in the hymnal. Luther’s Small Catechism is an excellent summary of the basic and essential doctrines, that is teachings, of God in His Word: The Ten Commandments, The Apostles’ Creed, The Lord’s Prayer, Holy Communion, The Sacrament of the Altar. The first part of the Catechism is written by Luther to summarize these teachings. The largest part of the book is offered by other authors to further explore Scripture on those teachings. As you look to other sources to understand Scripture and the Lutheran teachings, I would recommend the very readable book, Lutheranism 101. This book is readily available from Amazon or directly from the publisher at cph.org. Class instruction, often called catechesis, can only provide so much information. Each one of us is in a different place in both faith and life. Don’t hesitate to bring your questions and concerns to the Pastor. I am very sure he would certainly not turn away a sincere question from one who wants to deepen faith and practice. May the Lord continue to bless your journey in the faith. Yes I was Baptized when I was a child ,I wouldn’t take Communion if I wasn’t.